Many of us put our careers on hold after becoming a mom, and the worries can then set in. What if my job skills become stale or redundant? What if I miss opportunities for promotion? What if I become unemployable because of the gap in my resumé? While these are all good questions, you don’t need to worry unduly. You can still prepare for your career while at home with your kids. Be that for a new career opportunity that befits your skills as a mom, or for a return to your existing career path. 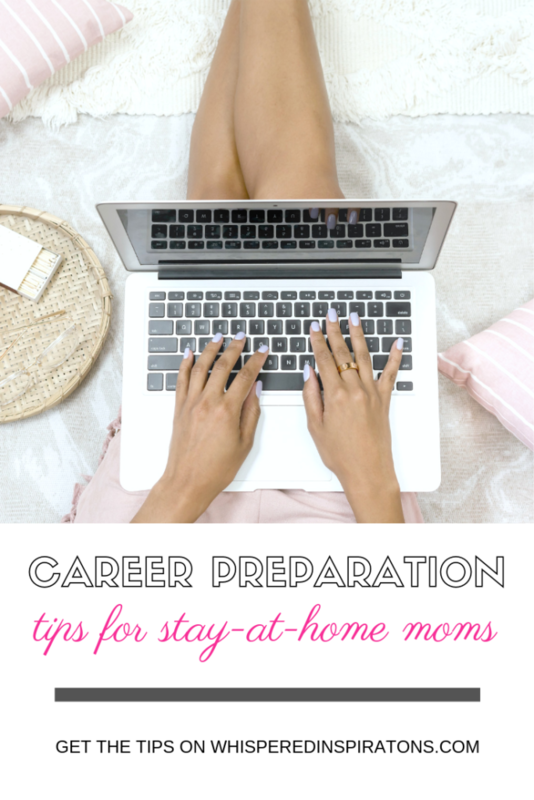 Read on for some career preparation tips for stay-at-home moms that may help ease the worry. In between your child-rearing duties, you might have more time to study. You don’t have to go to college to do this, as using this social worker degree online as an example, you can take a course from the comfort of your home. This is one example of a career path that, if you want to work with children, can be boosted by your parenting skills. The course also offers advancement for current social workers, so there is still the opportunity to work towards a promotion. It’s only an example, but be it for a new career or advancement purposes, think about the courses you could study from home. With an extra person to feed and clothe, you will benefit from the extra income anyway. But working from home is also a way to hone your job skills and help you stay relevant to employers. In some cases, you might be able to do something that befits your current career path. For example, if you have previously worked as an accountant, you might offer your services to small businesses on a freelance basis. Or you might take on another job, be it relevant to your past career or not, that offers you scope to both work part or full-time and give you the opportunity to stay at home with your children. If you need an excellent example, transcribing is a great job to take on! Here are some more examples. You will then have something to put on your resumé, thus negating any worries you may have had about those worrisome job gaps. You don’t have to use all of your downtime playing Candy Crush or scrolling through Facebook when online. Believe me, there is nothing wrong with that because I know how fun and distracting they can be. You might use the time you have available to research the industry you have been involved in. Visit the appropriate websites to stay current with any updates and trends. Watch relevant TED talks and YouTube videos. Subscribe to any online or paper journals that will help you stay current. This way, you can go armed with knowledge when you later go for job interviews. This might give you a step up from other candidates who either haven’t bothered to put the work in, or who have been unable too because of previous work commitments, or their Candy Crush addictions! Keep in touch with previous employers and colleagues. Try to attend to industry events befitting your past or hoped for career path. Get in touch with key people in your industry on LinkedIn, and create a job profile on this site so you can be searchable to recruiters. Set up meetings face-to-face or on Skype with those people who may be able to help you return to a career later on. You might need social time and an excuse to get out anyway, especially if the only company you get in the week is your little one. So, make friends with anybody who can influence your career. Is it Time to Chase Your Career Dreams? Your career doesn’t have to end after becoming a mom, so consider our suggestions, and let us know your ideas too! How do you prepare for a new career?